Helping People Live the Altar'ed Life by Living in God's Presence. There is nothing that brings more identifiable misery to a human life than lifeless Christian religion. For the most part, religion is a system of thought, feeling, and action that is shared by a group of people. By its nature the philosophy of any religion, including Christianity, creates an identity for God as well as God’s people. Mistakenly, such philosophy seeks to evaluate God and the cir- cumstances of human life from mankind’s point of view, which has caused many modern believers to live a self-centered, need-focused, and entertainment-based religious life. Religion is mankind’s way of trying to determine, define, and describe who God is (His identity), what God expects from man (a false identity), and what man should expect from God (false hope). This same religious spirit was seen in the Egyptian and Roman cul- tures, who worshiped many gods and goddesses, all of whom looked like them. Both of these kingdoms believed that their king (Pha- raoh or Caesar) had descended from the gods, making them their god’s people. But you are a chosen people, a royal priesthood, a holy nation, a people belonging to God, that you may declare the praises of him who called you out of darkness into his wonderful light. Once you were not a people, but now you are the people of God. Do you see the difference? We are chosen (see Eph. 2:22). We are holy and belong to Him. Belonging is not based on what we are, but the Lord Who lives within us. We are the house, the dwelling place, the habitation of the Lord (see John 15:19). Jesus said He and the Father would live within us (see John 14:23). We also are the temple of the Holy Spirit (see 1 Cor. 6:19). Therefore, the Lord is our hope and the strength because we belong to Him (see Joel 3:16). Our identity is not built on what we know about God but upon God knowing us. We are His. He made us (see Ps. 95:6). He takes great delight in us (see Ps. 149:4). He will never leave or forsake us. He is our helper and we are His people (see Heb. 13:5-6). As His people, we are the blood relation of spiritual Israel (not the Jewish race) through the new birth (see 1 Pet. 1:23). A people for God’s own possession. The idea here is a people over and above all others. Such people are His possession in a special sense (see Eph. 1:14). How is this possible? The church of the Lord Jesus Christ is made of a people He bought with His own blood, making us His possession and flock (see Acts 20:28). What is a reasonable response? To declare, publish, and make known the great good- ness of the most mighty God by praising Him, by proclaiming and celebrating His Name Who called us out of darkness into His wonderful light. His wonderful light consists of awe-inspiring simplicity, transparency, and excellence, as well as clarity of virtuous thought and purity of holy expression. Shout for joy, O heavens; rejoice, O earth; burst into song, O mountains! For the Lord comforts his people and will have compassion on his afflicted ones. But Zion said, “The Lord has forsaken me, the Lord has forgotten me.” “Can a mother forget the baby at her breast and have no compassion on the child she has borne? Though she may forget, I will not forget you! See, I have engraved you on the palms of my hands; your walls are ever before me” (Isaiah 49:13-16). ← Will You Be 1 of 300? Will You Be 1 of 300? 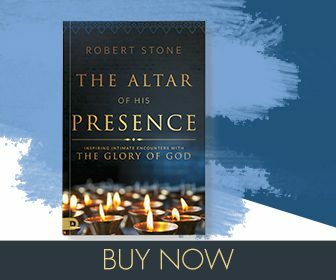 Get Your Free Preview of The Altar of His Presence Today!